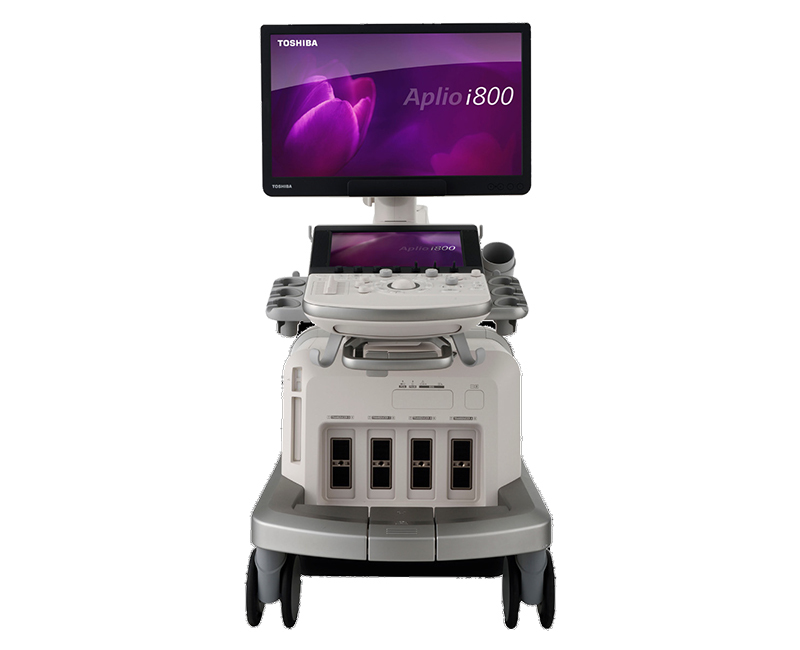 The Aplio i-series ultrasound solution is made up of the Aplio i700 and Aplio i800. Both systems include iPerformance technologies that deliver extreme processing power and allow health care providers to see more. A new beam-forming technology, iBeam, optimizes efficiency of the beam, increasing penetration, spatial resolution and contrast resolution, while at the same time reducing artifacts and clutter. The i800 offers advanced clinical applications, including an ultra-high frequency transducer (24 MHz). The Aplio i-series provides intuitive ergonomics to boost productivity during daily routine and complex exams with iSense. The systems offer an image-guided user interface and feature touch control screens and real-time quick scan, which makes automatic image adjustments without pushing a button.